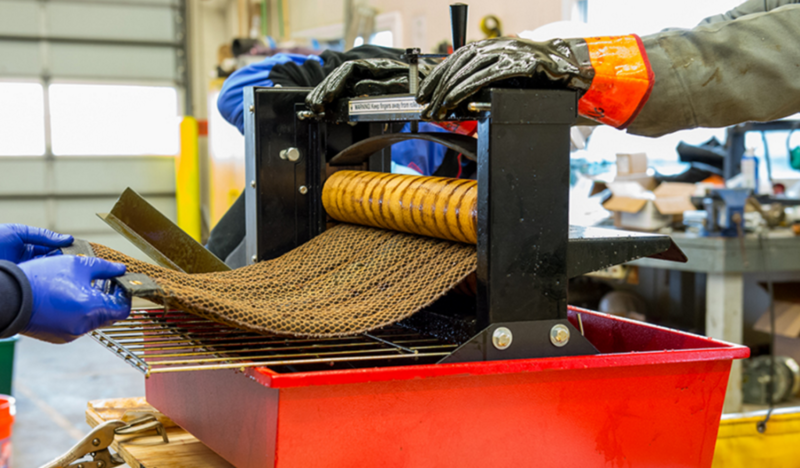 A group of researchers at the Argonne National Laboratory have developed a sponge that will collect oil from bodies of water, which could improve how harbors and ports are cleaned, as well as how oil spills are managed. “The Oleo Sponge offers a set of possibilities that, as far as we know, are unprecedented,” said co-inventor Seth Darling, a scientist with Argonne’s Center for Nanoscale Materials and a fellow of the University of Chicago’s Institute for Molecular Engineering. At tests at a giant seawater tank in New Jersey called Ohmsett, the National Oil Spill Response Research & Renewable Energy Test Facility, the Oleo Sponge successfully collected diesel and crude oil from both below and on the water surface. “The material is extremely sturdy. We’ve run dozens to hundreds of tests, wringing it out each time, and we have yet to see it break down at all,” according to Darling. The team is actively looking to commercialize the material; those interested in licensing the technology or collaborating with the laboratory on further development may contact partners@anl.gov. For more info and a video demonstration visit Argonne’s website here! Through a collaboration between Port of Rotterdam Authority and academic institutions such as Erasmus University in Rotterdam and Port Innovation Lab with the Delft University of Technology new innovations in the line of “do good” drones are starting to make their appearance in the ports. 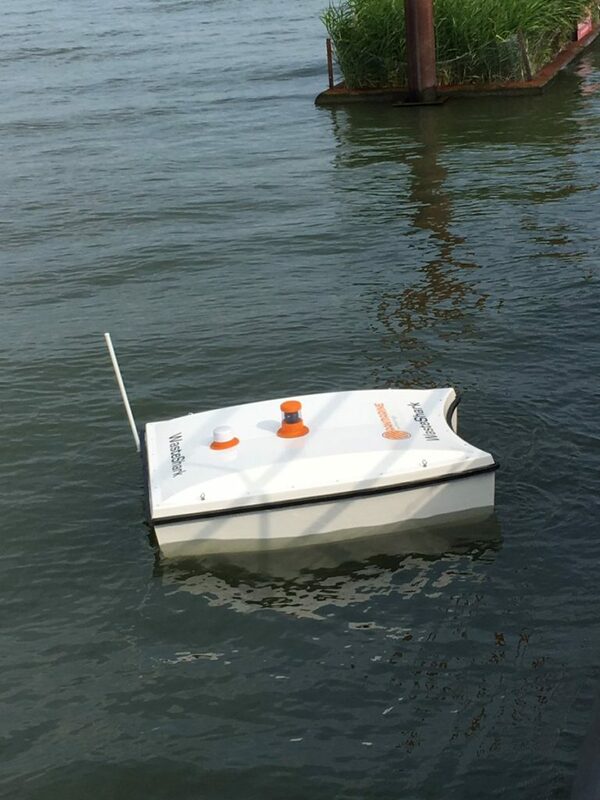 Among the emerging breeds of Water Drones are the “AquaSmartXL” and the “Waste Shark”. 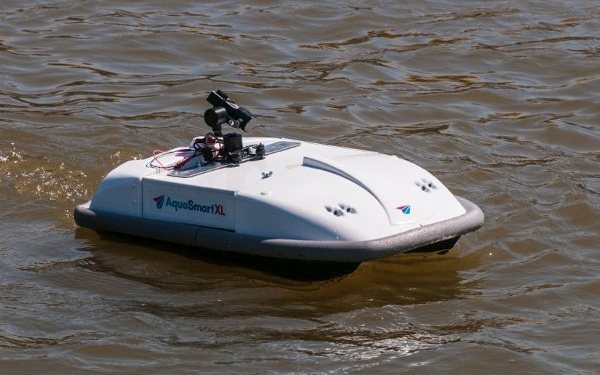 The AquaSmartXL is a useful alternative to port surveillance that would normally require a man-operated boat burning fuel. 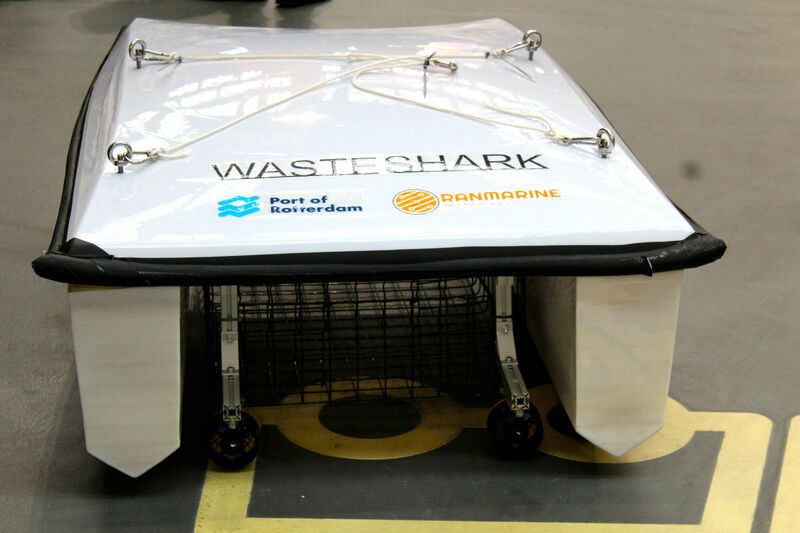 The unmanned Waste Shark is able to collect around 500 kg of wast in the water through its mouth-like opening 35 cm below the surface of the water. It is around the size of a average four door car. An AquaSmartXL in the port of Rotterdam. 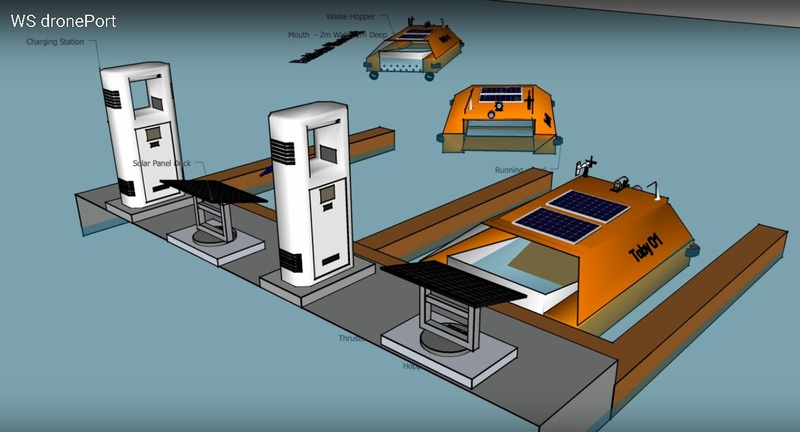 Prototype fleet of Waste Sharks along with drone port charging stations. Another look at the garbage-collecting Waste Shark.